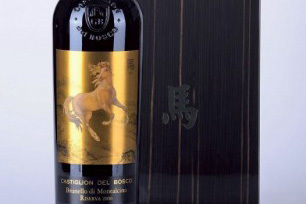 Castiglion del Bosco’s latest project, a limited edition Brunello di Montalcino Riserva was awarded an outstanding 97 points by James Suckling. “Very spicy and earthy, with decadent and dark meat, before changing to flowers and dark fruits. Full body, very soft and round, with a very, very long finish. Zodiac was launched in November 2013 in Hong Kong.